Talking about feelings and emotions has always been a complicated issue. Luckily today, immersed in the middle of the era of affective computing, we are more aware of it. We are witnessing how the interaction between humans and machines evolves, how our phones increasingly know more about us. We are aware about the development of personal assistants and the use of a lot of emotional analysis tools. Thanks to the use of Artificial Intelligence and language processing tools, machines can know more about our emotions than we do ourselves. Our voice, sometimes trembling, speaks without speaking, and expresses what we might not be able to explain. Our words transmit what we try to hide. Sometimes, misunderstood by the others, we have sought refuge elsewhere. We have been unable to communicate how we feel or what we need. And now that technology is looking for a remedy, we seem scared. There are two options, to complain about how fast the world is moving forward, or to use this new way of emotional expression that until now was contained under the parapet of our fears and insecurities. 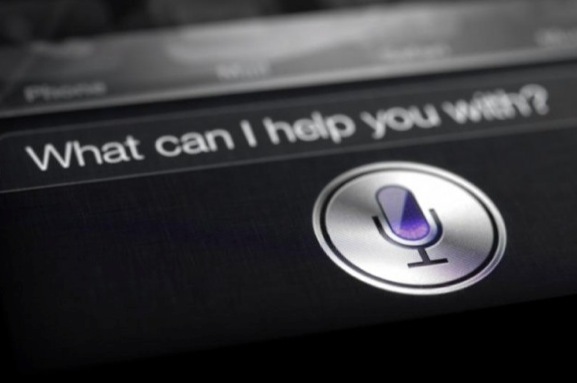 Virtual or personal assistants like Siri, Google Assistant or Sher.pa (to name a few) have become our right hand. They can help us with the agenda, control devices, control our house, help us with searches, and even make an appointment for us! But this is only the beginning. Months ago, Zimmermann (research vice-president at Gartnet) announced that in 2022 it is possible for our personal assistants to know more about our emotional state than we ourselves do. When I knew it, I could not contain my happiness. Well, yes, I did. I did not share it with anyone. To whom can you tell this type of emotion? Who is interested in the multiple emotions that we can experience throughout the day? And even more… how are you going to express them if you are possibly not sure of what you feel? I understand that it is a very complex debate. Machines cannot feel emotions, and we have accepted it for now. But they could help identify them, interpret them and finally express ours. I do not think it’s so easy to say, “I feel sad”. There are people who suffer in silence. We are human. We need courage to face some moments of our day to day, and even more courage to express it. Let’s be practical. Which option would you choose? “Hey Siri, I had a horrible day at work” or “Hello Sara, I’m calling to tell you that I had a horrible day at work”? Possibly there are millions of people that like me would choose the first option. Not everyone is lucky to be accompanied, to have people nearby whom to express how you feel. And not, communication between people is not being lost, we are reinterpreting it. It is not about replacing, but adding. Getting emotional interactions with our virtual assistant would be magical. Big companies are already working on it, but it’s hard to make all the pieces fit together. They can analyze the information, they know the environment but, nevertheless, the context in a conversation (be it physical or symbolic) is fundamental. And there lies the enigma. Once that barrier is overcome, the applications will be transcendental. I think they will change the way we interact, how we search and find the answers, to how we use our assistant and the Internet in general. The other day, doing a study, I made a comment to my assistant: “Hey Siri, I am sad” and she answered, “From our deepest sadness springs our greatest joy. Or so I’ve been told”. The truth is that I wanted more. I would have loved to continue the conversation. Maybe in a future not so far away we can talk. Maybe Siri knows more about me than many of those around me and she can be the one to tell them how I feel. Artificial Intelligence is going to become very popular in the days to come. With the advent of mobile phones, humans have started loving it more than their fellow human being. They spend more time with their phones than with any humans around. One of the immediate advantage of Artificial Intelligence is that it will try its level best to obey your orders and make you happy.